We have been invited and attended the 2010 IDC Cloud Conference, and shared -> ‘To Cloud or Not to Cloud? post to our readers back then. This year (2011), we have been invited again to the prestigious IDC annual event,with a twist, this time as a speaker instead! Interestingly, we were the only local-bred company listed as a speaker.What an honour. Thanks IDC. It was a full day event, and we ourselves had planned to share some of our thoughts on the ‘cloud is business’ theme, and prepared a 12 slides deck for the 30 minutes slot given. We took it as a challenge, and also saw it as an opportunity! We thought, instead of us going through our prepared deck sharing the general thoughts on cloud computing industry in Malaysia (the theme), we would do a live demonstration instead — and it would be a direct product marketing for us. Luckily, our slot was much later after lunch, and we had asked for a permission from the organiser, with a pretext of dispelling the myth! (we were told much earlier to minimise product marketing). Fortunately, the organiser welcomes the idea, as it will breaks the monotoneof many slides presented throughout the day by the various speakers. The only condition was, to use our own Internet connection. We tested our 3G stick, and decided to proceed with it. Have you seen the ghost? 100% live demonstration on-stage. Needless to say, we delivered the talk with a solid 20 minutes live demo over a 3G connection, and some of the feedback we heard later, ‘Now I understand what is cloud computing really is, good demo by SKALI – I do see some benefits in moving to the cloud ‘. How’s your Disaster Recovery (DR) plan? If you have one (and you should! ), you probably have almost an identical set of the system hosted further away from your primary systems. That’s the reason of having DR anyway, IF a disaster were to strike at your primary site – it can be fire, or earthquake, or terrorist act, or it could probably be just stolen! — you can always resume the business as usual accessing to the backup systems. Yes, I’m talking about a full DR scenario, not just an offsite data only backup here. Depending on your DR strategy matrices (the RTO and RPO), you would need to decide the suitability of your DR requirements and budget. Whatever your strategy is — I’m sure you would agree with me that most of the system at the DR site are idling 60-90% of the time! and yet, you have to continuously pay for the system maintenances, and the associated data centre hosting cost of your server hardware, which is typically tied into a very long-term contract. Probably not. Now with Cloud infrastructure services like SKALI Cloud, you have an option. Some of our clients uses our cloud servers for their DR servers. Where they would only pay for the servers resources upon usage only. How do they do that? First, they setup an identical server mirroring their production server on our platform. Then, depending on their RTO & RPO strategy, we would suggest to them the best ‘method’ of data synchronisation between the two locations. It can be as simple as remote data copy, up to a real-time syncronisation between the sites. Once ready, they would only pay for the server resources they use. One of our client has an RTO & RPO of 7 days, and they do data syncronisation from their office to our cloud server only on Saturday. Based on that schedule, the cloud server will be powered-on, and the syncronisation will take about 3-4 hours over the network. Once completed, the cloud server will be powered-off. The client pays for the resources that they use only. It saves them at least 60% of their DR cost as compared to their previous contract. Our persistent-storage feature allows the client data to remain intact, until the next power-on. Unlike some of our competitors, once their cloud server is powered-off, so is the data.. all gone! In our case, our clients need to only pay for the data storage on a monthly basis (MYR 0.40cent/Gb/mth), and for the use of server resources (CPU & RAM) per usage only. This current trend which is fast becoming popular throughout the world of doing disaster recovery in the cloud are due to the obvious reasons — flexibility and cost savings! Now everyone can afford a full DR.
Let us know if you wish us to assist you with your DR strategy. Besides the cloud servers, we do also provide an end-to-end DR software solution as your one-stop solution provider to meet your ever growing needs. We appeared in one of Malaysia’s leading business weekly publication (The Edge Malaysia) recently (January 31st 2011 edition). If you have missed it, here is the article again. Today, our launch event (held last week) appeared in the local daily The Star In-Tech pull-out. Some of the stories appeared on many other websites. Read more. Catch some of our event pictures at our Facebook Album. Famous Forrester’s Principal Analyst James Staten has posted his 10 Cloud Computing Prediction for 2011. Specifically in the area of Infrastructure-as-a-Service (IaaS) — where SKALI Cloud’s niche market is. He sees the increasing importance of cloud computing to organisation worldwide, it drives the costs down, provides flexibility, however it creates a widening gap between those that take advantage of cloud computing and those that don’t. IaaS is one of the 15 technologies listed in the Top 15 Technology Trends EA Should Watch_2011 To 2013 report released last month, and in his blog, James elaborates this in greater detail. Go ahead for the details on his blog – he drills deeper on each of the above points. At SKALI, we are putting our bets on providing the most reliable & flexible cloud-based infrastructure services suitable for the SME market and many large enterprises web projects. Our platform runs on any OS including Windows and all Linux variants. We have Persistent storage and servers. Resources are bought individually with no bundling in a flexible pay-as-you-go model. It means you can instantly create, start, stop and delete servers as and when you need them. We turn CPU, RAM, data storage and data transfer into utilities similar to your electricity and water usage. We give you exactly how much of each as you need them over time. 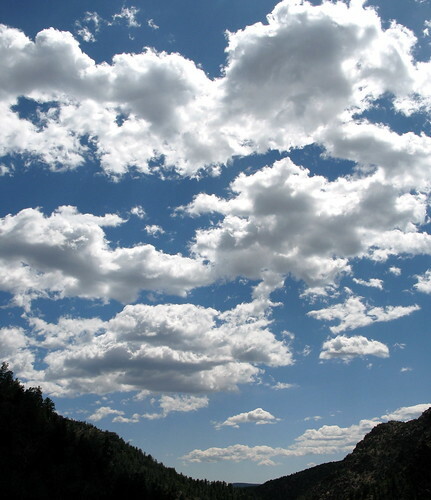 What would be your next year cloud prediction?